Seattle Parks and Recreation, the Department of Neighborhoods and Harrison Design invite the community to the second meeting on Troll’s Knoll Park on Wednesday, July 16, 2014 from 6:30 – 7:45 p.m. at the Fremont Abbey Arts Center, 4272 Fremont Ave. N.
At this public meeting, participants can learn about the new community-initiated park project at the Fremont Troll and see how public input guided the schematic design. It is an opportunity to review the design and provide additional input. The Parks and Green Spaces Levy Opportunity Fund project is located in the right-of-way at the north end of the Aurora Avenue Bridge between 808 N 36th St and 916 N 36th St. 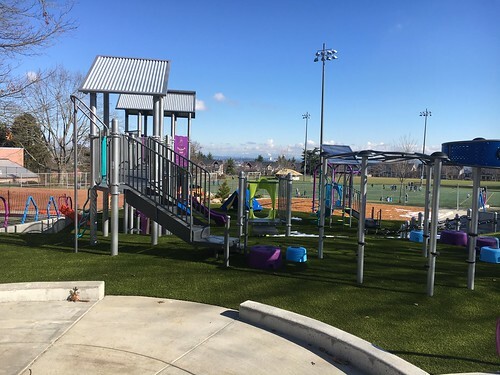 The goal of the park project is to utilize existing public land to create a new park in the heart of Fremont. The park will be a model design of a sustainable park space. 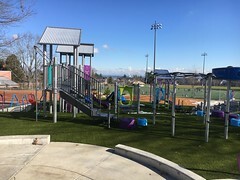 It will include a P-Patch community garden and provide a critical pedestrian link to the developing neighborhood business district in northern Fremont. 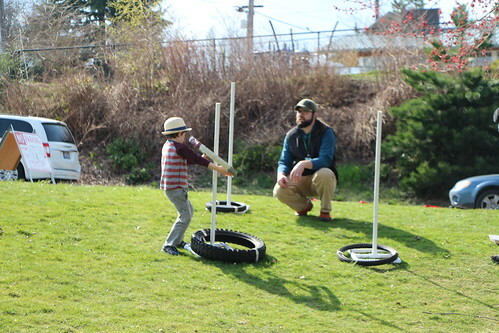 For community members interested in learning more about the P-Patch program, please contact Rich MacDonald 206-386-0088 or Rich.Macdonald@seattle.gov. 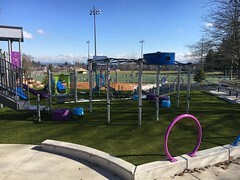 For more information about the project including notes from the first meeting please visit: http://www.seattle.gov/parks/projects/troll_knoll/. For special meeting accommodations or for questions concerning the project please contact Jeron Gates at 206-684-0998 or jeron.gates@seattle.gov. Seattle Parks and Recreation, the Department of Neighborhoods and Harrison Design invite the community to a public meeting on Wednesday, June 11, 2014 from 6:30 – 7:45 p.m. at the Fremont Abbey Arts Center, 4272 Fremont Ave. N.
At this meeting, participants can learn about the new community-initiated project at the Fremont Troll – Troll’s Knoll Park. 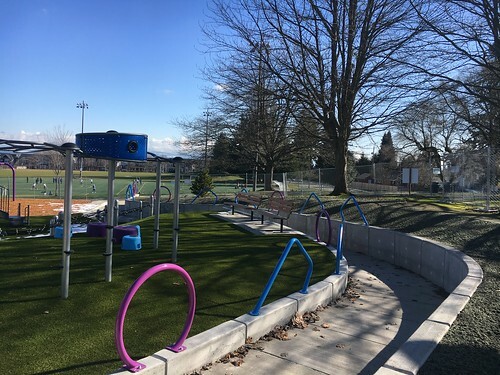 It is an opportunity to review the site analysis and provide input on the Parks and Green Spaces Levy Opportunity Fund design. The site is located in the right-of-way at the north end of the Aurora Avenue Bridge between 808 N 36th St. and 916 N 36th St.
A second meeting will be held on July 16 to review the schematic design that will be developed from the Opportunity Fund design and additional community input at the first meeting. For more information about the project, please click HERE. For special meeting accommodations or for questions concerning the project please contact Jeron Gates, Seattle Parks and Recreation, at 206-684-0998 or jeron.gates@seattle.gov. 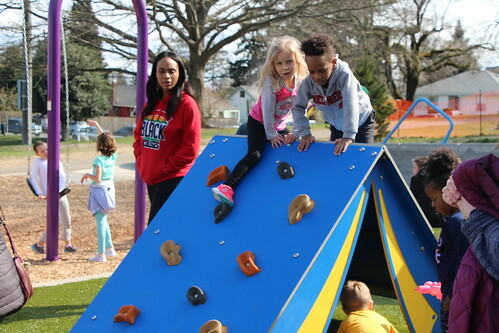 Celebrate Seattle’s 19th annual Neighbor Appreciation Day, a special day to reach out to neighbors, create new friends, and express thanks to those who help make your neighborhood a great place to live. Community groups, businesses, and residents across Seattle join together on Saturday, February 9 (and the week of) to celebrate. •	Plan an activity for your neighborhood such as a block party, potluck, or work party. The website provides ideas, tools, resources, and templates to help community members organize an activity. Once scheduled, the event can be posted to the events calendar. •	Attend one of the many community activities listed on the events calendar. Many Seattle Fire stations along with Seattle parks and neighborhoods are hosting celebrations and work parties. •	Send Neighbor Appreciation Day e-cards to your neighbors. The selection features artwork from past winners of the Neighbor Appreciation Day Student Art Contest. •	Share a story or two about your favorite neighbors. Community members can post stories about great neighbors or their neighborhood. 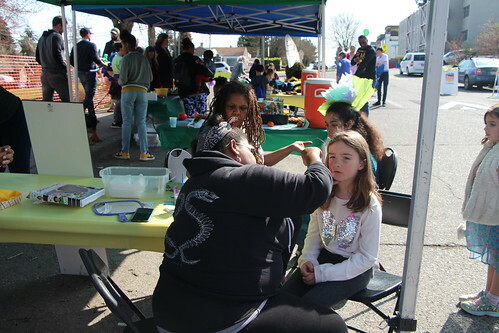 Join Seattle Department of Neighborhoods and hundreds of community members in celebration of what makes Seattle great – our neighbors! For information, visit www.seattle.gov/neighborhoods/neighborday/ or contact Wendy Watson at wendy.watson@seattle.gov.